Where do I start? My obsession with the sea, keeping fit and beautiful food combined…heaven. 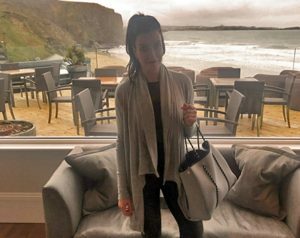 We arrived at Watergate Bay just in time for lunch and we sat overlooking miles of creamy yellow sand and breaking waves in the bright and contemporary Living Space. Built in 1904, the owners have kept the old school charm, combined with an attention to detail and service that is rare. The hotel is all about active relaxation – getting outdoors, trying something new, tiring yourself out, and then heading back to the hotel and relax in comfort with a good pool, treatments, friends, family, all teamed up with good food and drink. d literally skipped to the beach below. We’d missed the snow from the day before; however the fresh breeze was a welcome break from the previous week’s work load and lack of sun light. 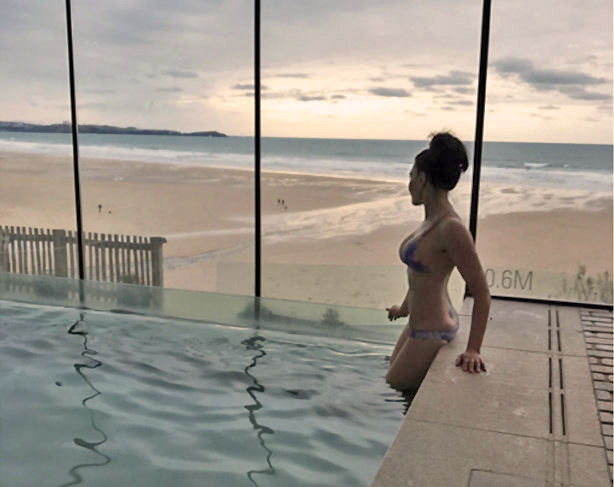 The two-mile stretch of sand and coastal paths provide the perfect playground for an active break, Active breaks at Watergate Bay are designed to give you the opportunity to learn something new and develop your technique from experts in their field. There’s Surf, Swim, Fitness and Yoga. As it was only 4 degrees I put the Surf lessons on the back burner (this in hindsight I wish I hadn’t done as after talking to Carl who took our spin class…That’s another story though). 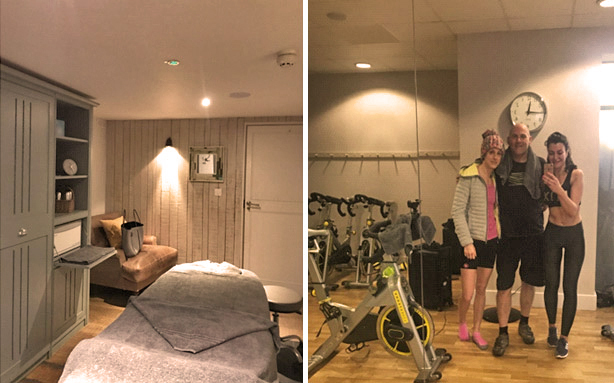 5pm rolled on far too quickly after a brisk walk and a chilled swim (you cannot help but perch overlooking the beach in the swimming pool) and my all over body massage was booked in with the lovely Laura. We’d booked a table in Zacry’s and three courses later; impeccably presented by friendly, laid back staff, we were full and content. The following morning followed by the most amazing breakfast (cook your own waffles anyone?) I had the pleasure of spending some time with Carl from the Extreme academy. A spin class (oh yes, with a triathlete) with a difference and coffee later. The Beach Hut and lunch was amazing, two courses of freshly made food, in a laid back atmosphere, literally on the beach. The views unlocked day dreams of sunny days ahead. 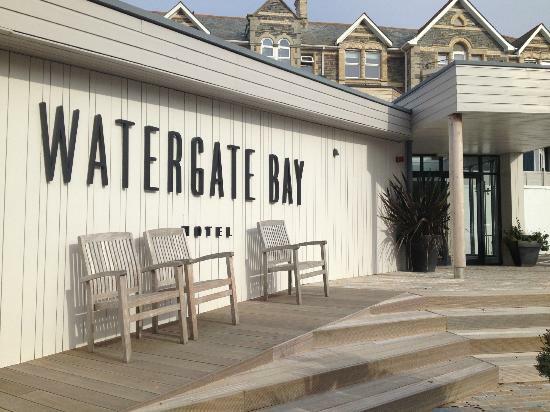 The big difference with Watergate Bay Hotel is they don’t do the standard hotel gym/spa/bla bla bla . It’s refreshing and high end without the corporate feel.